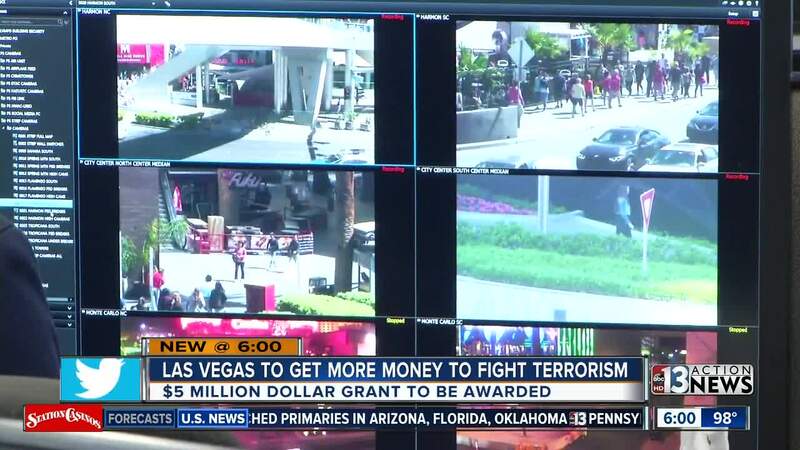 The Department of Homeland Security has forked out $5 million dollars to help Southern Nevada prepare for and prevent acts of terrorism. The grant is part of the Urban Area Security Initiative (UASI) program which helps to provide funding for high-threat, high-density urban areas. "Prevention is always key," said Carolyn Levering, emergency management administrator for the City of Las Vegas. "If we can stop it from ever happening, then we don't need all of this other training and equipment," said Levering. Unfortunately, prevention does not eliminate the terrorism threat, Levering added. Since the September 11, 2001 terror attacks , the federal government uses a risk assessment formula to spend millions of dollars to prepare local communities for future attacks. In 2017, the Las Vegas Metropolitan statistical area (MSA) received approximately $2.85 million, according to Chief John Steinbeck from the Clark County Fire Department and chairman of the Urban Area Working Group. This year, the area is receiving $5 million. "After 1 October, we found that there were more things that we could be doing if we had enough funding so that increase to $5 million helped us pad the budget a little bit more," Levering said. The increased funding means money for staff, training and equipment for the Southern Nevada Counter Terrorism Center. The center is staffed 24 hours per day and searches for terror threats and other crime. "One of the vehicles [Las Vegas Fire and Rescue] uses was previously funded by Homeland Security grants, but it's aging out," said Levering. "It's almost 12 years old now," she said. Las Vegas Fire and Rescue is set to get a brand new HAZMAT response vehicle estimated to cost around $800,000. Levering says the old one was purchased with federal funds provided after the September 11, 2001 attacks. Chief Steinbeck says some of the money will go toward training, medical supplies and even tactical vests for medics and firefighters to enter dangerous situations like the 1 October shooting.